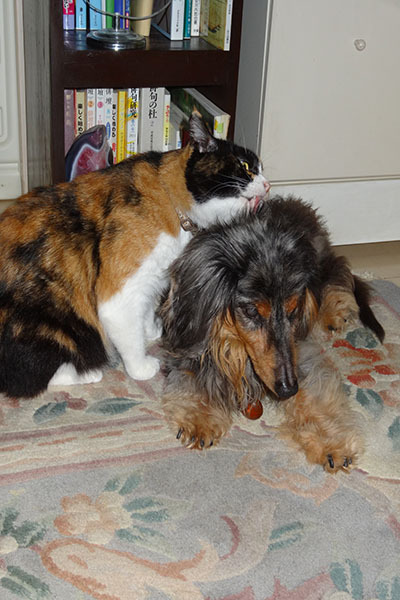 仲良しなうちのわんこと猫やん　My cats and dogs are really good friends! Cat Kitty and miniature Dachshund Lolo is really good friends. Did it mean more of the cats, not just may be that anything good if there are animal that can lick by instinct. But she does not the licking my head. I am OK to lick me by my cat .